It’s scientific! Bees are smarter than com­puters. The insects learn to fly the shortest route between flowers discovered in random order, effectively solving the “travelling salesman problem,” said scientists at Royal Holloway, University of London. 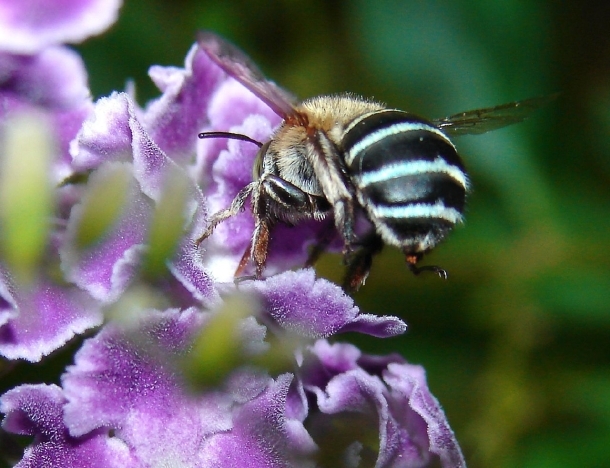 Even with a brain the size of a grass seed, bees find the shortest route to the flowers they visit every day. They don’t need Google Maps! Since humans are smarter than bees, ergo DA Honeybees are smarter than computers. We David Archuleta fans don’t need a scientific study to know that. We use our huge brains to find the ‘shortest route’ to David Archuleta’s music every day. Then we create ‘sweet buzz’ about it! Every time we do this David’s fan base grows and flowers into something more and more beautiful. Now isn’t that a nice thought for Monday morning? Articles like this just keep me all aglow. Thanks, Lyrix! We Honeybees do tend to glow. Kinda like lightbulbs, we shed light about David Archuleta wherever we go. Yes, and it’s so easy for DA Honeybees to find that shorter route to David facts because we know…just like the songs he sings, the facts all make us feel so much better! And that’s another reason why David’s fan base keeps on growing!!! Very cute story Minja! Thanks for posting!